The gaps around window and door frames give unwanted air an open invitation into a home. 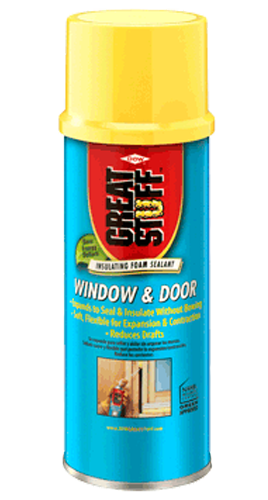 But with GREAT STUFF™ and GREAT STUFF PRO™ Window & Door Insulating Foam Sealant, you can block the flow of air quickly and easily. It’s especially easy if you’re working on a new construction site. If the doors and windows are already finished, you’ll need to remove the trim. When you’re done, customers will enjoy greater comfort and lower bills. 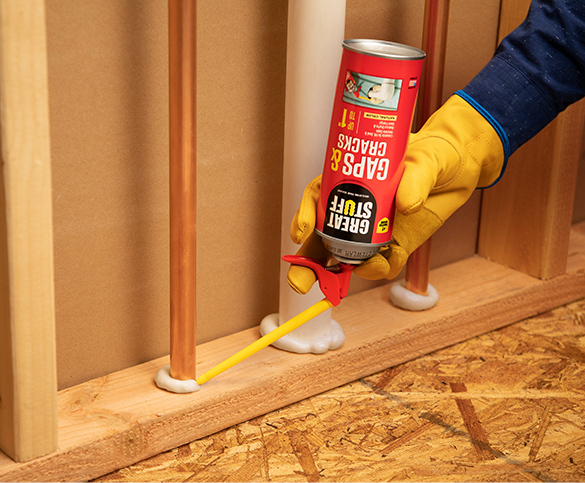 A flexible, low-pressure formulation for sealing between window and door frames and their rough openings. When applied properly, won’t bend or bow framework. Use to air seal gaps between a window or door frame and its rough opening. When applied properly, won’t bend or bow framework.